Southern’s Ryan Acree, left, and Logan Drummer bump into each other while leaping to celebrate two runs being scored during the third inning of Friday night’s TVC Hocking baseball contest against Trimble at Star Mill Park in Racine, Ohio. Southern third baseman Jensen Anderson relays a throw to first base during the third inning of Friday night’s TVC Hocking baseball contest against Trimble at Star Mill Park in Racine, Ohio. RACINE, Ohio — It only takes one spark to get a fire going. 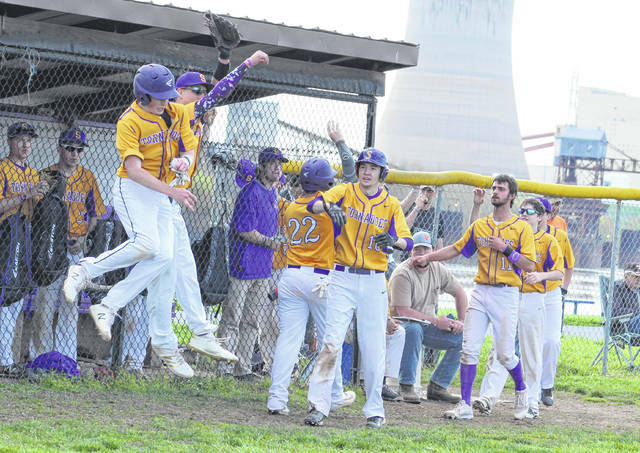 The Southern baseball team found itself in a 4-0 hole, but a six-run explosion in the bottom of the third ultimately led the way to a 9-5 victory over visiting Trimble on Friday night during a Tri-Valley Conference Hocking Division contest at Star Mill Park in Meigs County. 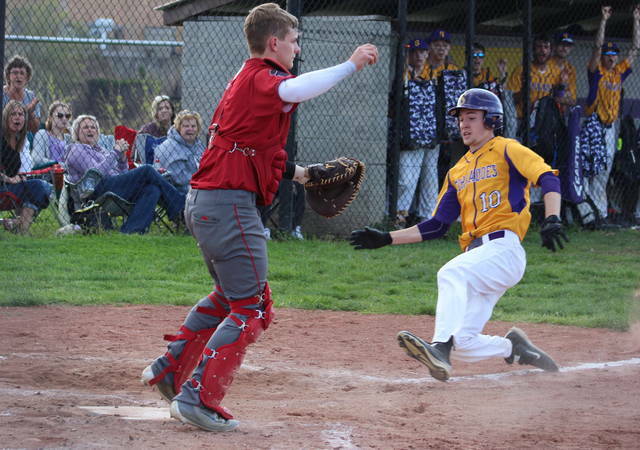 The Tornadoes (9-4, 9-2 TVC Hocking) surrendered three runs in the opening frame and allowed another score in the top of the third, all while producing only one hit and three baserunners during their first two innings at the plate. The Purple and Gold, however, got their offensive flame started in the bottom of the third as the hosts sent nine batters to the plate, which led to six runs on five hits, a walk and a hit batter. Gage Shuler led the inning off with a single and moved to third on a double by Logan Drummer, then both came around to score on a Dylan Smith single that cut the lead in half. Billy Harmon received a one-out walk, then Garrett Wolfe was hit by a pitch that ended up loading the bases for seven-hole hitter Coltin Parker. Parker bounced a ball to third that resulted in Smith being a force out at the plate, but the hosts still had the bases full. Ryan Acree come through in the clutch with a two-out single to left that plated both Harman and Wolfe for a four-all tie, then Logan Dunn doubled home both Parker and Acree while taking a permanent lead at 6-4. The Tornadoes kept that momentum moving forward into the bottom of the fourth as Shuler led the inning off with a single, then advanced to second on a wild pitch before coming home on an error that allowed Drummer to reach safely. Smith provided a single with nobody out to put runners on the corners, then Jensen Anderson lifted a sacrifice fly to left that plated Drummer for an 8-4 advantage. Smith later scored on a two-out double by Wolfe for Southern’s largest lead at 9-4 through four complete. 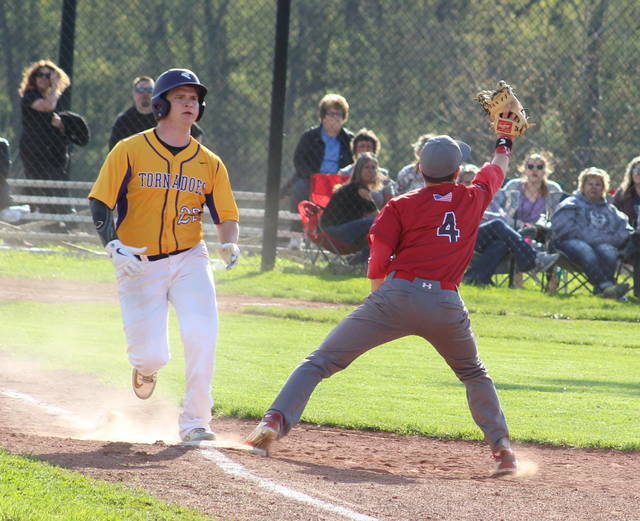 THS — which managed only baserunner between the fourth and sixth innings — closed the gap in the top of the seventh as Brooks singled in Rossiter with nobody out for a 9-5 deficit, then Wisor walked to load the bases. Southern — who received three quality relief innings from Parker after the third frame — turned to Harmon to complete the job on the mound. Harmon came in and struck out Richards before fanning Wisor for two outs. Following the Wisor strikeout, however, Nagucki ended up getting picked off at third following a snap throw down the line from the catcher. Anderson applied the tag in time, ultimately wrapping up the four-run triumph. 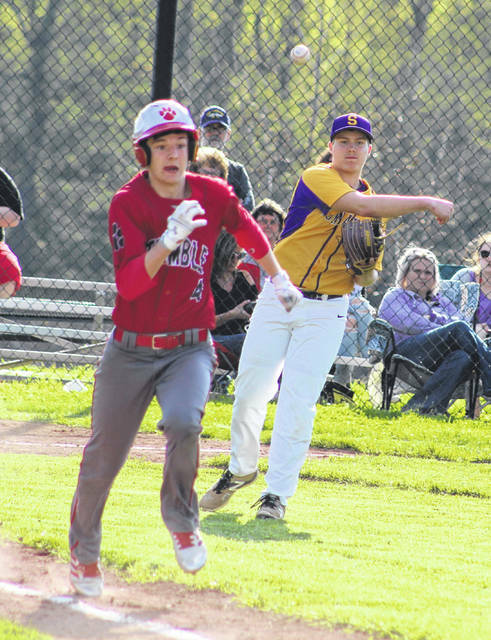 Southern — which has now won seven straight TVC Hocking contests after a 2-2 start — salvaged a season split with the Tomcats after dropping a 4-2 decision in Glouster back on April 9. It took a little while for Senior Night festivities to get cooking, but SHS coach Kyle Wickline was pleased that Garrett Wolfe, Logan Dunn, Dylan Smith and Dakota Kowell got a fitting send off after their collective years with the program. The third-year mentor also noted the importance of that third inning, especially after Trimble had clearly established momentum early in the game. “Trimble came out ready to go and we were a little dead-legged, and they were up on us by four runs in no time. Everything just started clicking for us there in the third and we started getting some energy, and it just took off from there,” Wickline said. “That third inning was something I’ve been hoping and waiting to see all year, and it came when we needed it. As we start closing in on the remainder of our league schedule and the start of the tournament, it’s good to see signs that this team is starting to reach its full potential. The Tomcats sent nine batters to the plate in the top of the first, which led to three runs despite only one hit to go along with two walks, two hit batters and an error. Another Southern error led to a THS run in the third frame. The Tornadoes outhit the guests by a 10-4 overall margin, but SHS also committed four of the seven errors in the contest. Parker was the winning pitcher of record after allowing no runs and one hit over three frames while walking three and striking out three. Hooper took the loss after surrendering six runs, six hits and a walk over 2⅔ innings while fanning two. Shuler, Smith and Acree led the hosts with two hits apiece, followed by Drummer, Wolfe, Parker and Dunn with a safety each. Smith, Dunn and Acree also led the way with two RBIs apiece. Kittle led Trimble with two hits, while Nagucki and Brooks also had a safety apiece in the setback.